Cars and trucks were originally meant to take you from point A to point B but shortly after the second car and truck rolled off of the assembly line cars began to race. Once you had two cars you basically HAD to race. Put two guys in trucks and you will have the same effect. I bought my wife a Dodge Challenger and all of the sudden she's a racer too. Since the street doesn't have any horsepower or design restrictions, (except that you have to pass MARTA and you have to keep the car street legal) the world of high performance was born. During World War II airplanes started using turbochargers, superchargers and Nitrous Oxide systems to make their engines more powerful. After the war some of these turbochargers and superchargers began to make their way onto street vehicles. Manufacturers started using turbochargers on diesel engines almost right away. Almost every over the road truck on the road today uses turbochargers to boost torque and horsepower. Almost all of the heavy equipment used today use turbo-diesel engines as well. 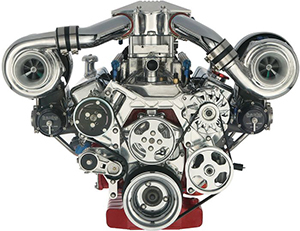 Many vehicle manufacturers such as Volkswagen, Volvo, Mitsubishi, Dodge, and Saab were some of the first to use turbochargers to make their easy to maintain 4 cylinder engines have the power of a larger engine without the extra weight and negative fuel mileage that a 6 cylinder or 8 cylinder engine would cause. Buick was one of the first American car manufacturers to mass produce turbocharged engines in cars when they introduced the Indy Pace car version of the tubocharged Buick Regal in 1976 and then the first to produce supercharged engines when they introduced the supercharged version of the 3800 in 1991. 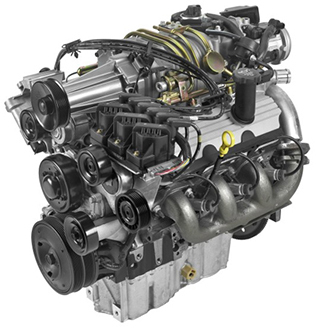 The supercharged 3800 found it's way into dozens of GM car models over the next few years. Ford started producing supercharged Thunderbirds shortly thereafter and almost every manufacturer now produces several turbocharged and supercharged models. While it's true that you don't NEED a turbocharger or supercharger to get to work Americans love a sporty vehicle. We don't all just want to get from point A to point B. We want to get there with a little style. Hendersonville Muffler Company has more experience with turbocharged and supercharged cars than most any shop in Hendersonville, Tennessee. whether your vehicle came with a turbocharger or supercharger or you would like to add one we are there to help you. We have turbocharger kits, and supercharger kits to fit many vehicles. For all of your turbocharger and supercharger needs in Hendersonville come to Hendersonville Muffler Company.